… even the documentation Help file’s had an update (Version “Dec2010”, last updated “9th Dec 2011”)! You’ll also want to download the Mobility Service and the Mobility Guide. Don’t forget the Database Update! As with CU3, there’s an accompanying update to the database that’s all too easily missed. 5. Close all Lync Server Management Shell windows. 7. 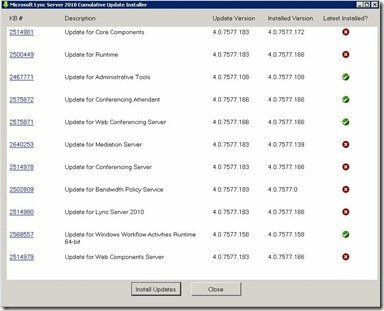 Install the cumulative update for Lync Server 2010: November 2011 by running LyncServerUpdateInstaller.exe. Note: Restart the computer if you are prompted to do so. 11. Start the Lync Server Management Shell: Click Start, click All Programs, click Microsoft Lync Server 2010, and then click Lync Server Management Shell. 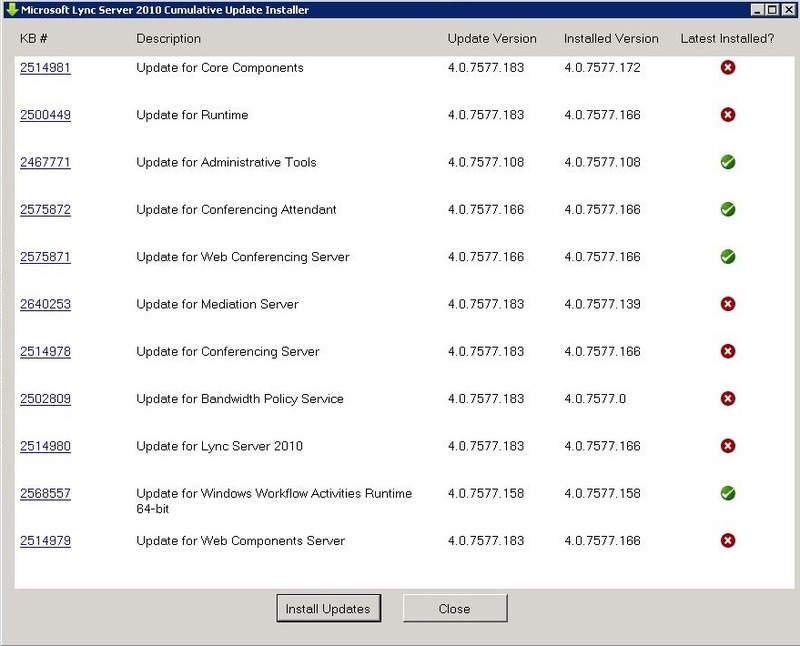 Here’s what the server update looked like on my Lab. It’s showing the “before” and “after” releases. Note that I snuck a Hotfix onto the Core post-CU3, as per this post from October, which is why the the very top line is at .172 and not .166.